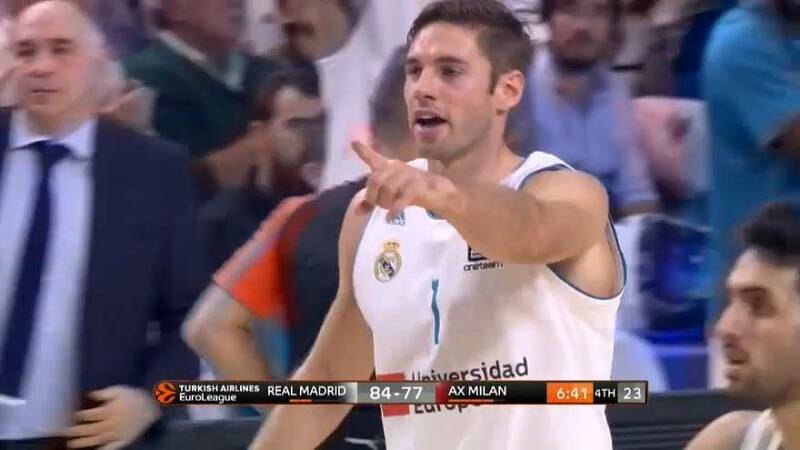 Real Madrid kept their perfect record making it three out of three in the Euroleague’s latest round, beating AX Milan, who went to Spain in vain looking for their first win, going down 90 to 100. Luka Doncic produced one of the best games of his young career, the 18-year-old scoring 27 points and 3 steals in addition to 8 rebounds. The sides were tied at 54 points each at half-time before Doncic went on the rampage to give Real the lead they never relinquished. FC Barcelona Lassa went down at home to Zalgiris Kaunas, the Lithuanians taking their record to 2-1and handing the Catalan side their second loss in a row, 75 to 81. Khimki Moscow Region remain undefeated after they made home advantage count again against the Serbs of Crvena Zvezda, 85 to 78. When the Russians go on the road it may be a different story, but in the third quarter they were irresistible, outpointing their opponents 21 to 11. James Anderson led the winners with 24 points and Alexey Shved added 18 and a EuroLeague career-high 9 assists.